Interested in adopting an Egyptian Mau Kitten or Retired Breeder? nefertiti-maus@sbcglobal.net or call us at 714-504-7297 or 714-504-7079. 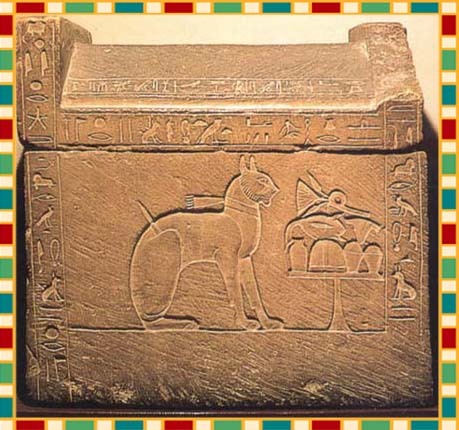 The Egyptian Mau cat is well known in legend and ancient past. It is believed that these cats are descendants of the sacred cats of Egypt, and their ancestry goes back at least 3,500 years. It is the only natural occurring spotted cat, and it bears the “M” mark on the forehead, sometimes called the scarab mark after the symbol the ancient Egyptians considered divine. As highly honoured cats, it was an against the law in ancient times to hurt or kill one of these cats. Ancient cats have been found mummified in tombs. 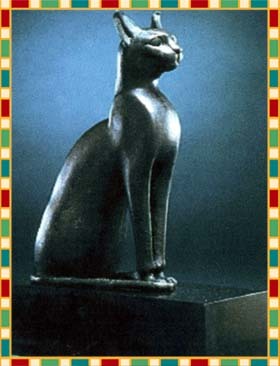 Mau is the Egyptian word for cat. But today it is a different story. Presently, in their Egyptian homeland, Egyptian Maus are facing persecution and possible extinction. They are not protected animals or valued like they were in ancient times. In fact, the Egyptian government views these animals as undesirable pests. Sadly, these magnificent cats run feral throughout the country, and forage in rubble and trash cans for food, with little veterinary care. They live a terrible, painful and short, hungry life. In order to curb their numbers, the Egyptian government is systematically poisoning the stray cats, many of which are feral Egyptian Maus. This alarming action may endanger the Maus’ very existence! We believe that the Egyptian Mau cats, as a breed, are endangered. Not only is the gene pool of the breed outside Egypt weakened due to excessive in-breeding (little new blood), but in Egypt, the cats, due to poisoning, and the increasing life-threatening feline health diseases like FIV and FeLV, threaten the continuing existence of this breed. Unless they become protected, we believe these ancient cats may soon become extinct.